Sharice Davids for Congress released the following statement on Sharice's victory in Kansas' 3rd Congressional District primary on Aug. 7. 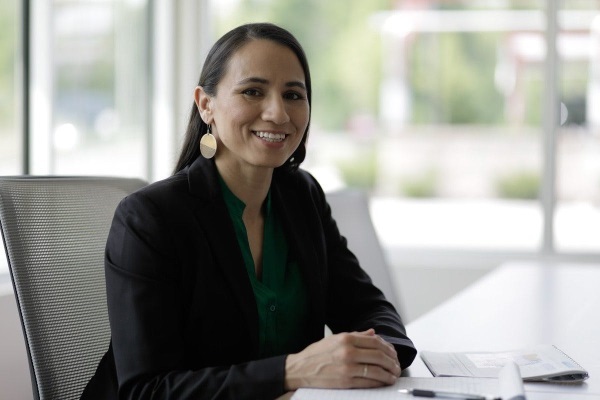 "I am honored and deeply motivated by the support I received from across this district," said Sharice Davids. "Thank you to my fellow Democrats in this race for their passion and for engaging in a spirited and important debate about the future of this district and this country. To my supporters: you knocked on doors, made phone calls, donated what you could, and got your friends, neighbors, and family members to the polls. I am eternally grateful for your confidence in me and will work to earn your trust day in and day out in Congress. "Now, we turn to the general election and set our sights on defeating Kevin Yoder, an extremist who has tried time and time again to undermine health care access and give tax breaks for the largest corporations. He is a pawn for Donald Trump and I will not allow him to continue to take us in the wrong direction while working families in our communities suffer. Yoder doesn't know what he has coming. I'm a fighter who will work to make sure every Kansan has access to quality public schools, affordable health care, and good-paying jobs. I will outwork him every single day until we win on November 6th. "I am humbled by the support and excited by the future ahead. Now let's get to work."